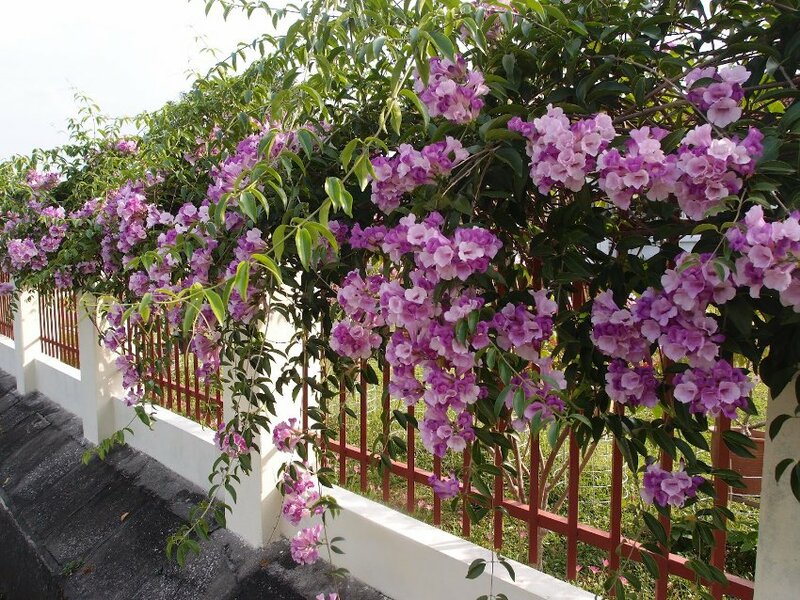 Profusely flowering, fragrant trumpet shaped flowers start out bright medium purple, and fade to a pale lavender pink as they age, giving the overall look of the vine a tricolor look when loaded with lots of blooms. Originating from South America, this is spectacular vine is a magnet for hummingbirds and butterflies. The foliage when rubbed or brushed against, gives off the fragrance of garlic, hense the name. However, it doesn’t smell if the plant is left alone. The Garlic Vine is one of the most rewarding, flowering vines that you can grow, unless you are a vampire. Garlic vine is also effective as a mosquito repellent and the entire plant - roots, stems and leaves, is used medicinally as well. Zones 9+. Suitable for containers.